After the recent, massive bitcoin hack of NiceHash and the surge in cryptocurrency rates, journalists are once again abuzz about cyber security. I recently spoke with Bloomberg Businessweek about North Korea's bitcoin play and the country's cryptocurrency revenue angles to get around increasingly stringent sanctions. The resulting Bloomberg article highlights state-sponsored involvement in bitcoin compromises and large-scale cryptocurrency mining. The article does a great job of putting the topic into broader context and breaks down the sometimes mysterious concept of cryptocurrency. As the publication explains, hackers were most likely trying to break into personal or corporate stashes of bitcoin and other cryptocurrencies. Security researchers labeled it the "perfect mechanism for North Korean money." Overall, it's a fascinating read, and this topic is something I personally track given my experience with the U.S. National Security Agency. What is interesting from a managed security solutions provider (MSSP) perspective is that this hack went undetected for a period of time that allowed significant damage. The hacker should have been quickly identified by security monitoring services. In the day and age when hacking is unavoidable, businesses need MSSPs that can rapidly identify threats and reduce the amount of time attackers have inside the network. This can only be accomplished with a mature detection and response program. The NiceHash story highlights the need for sophisticated managed detection and response. 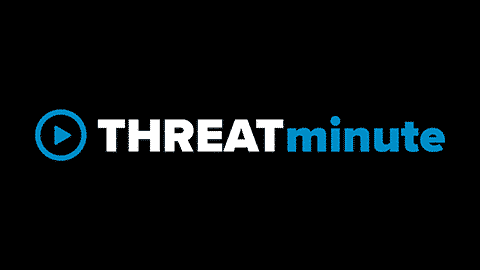 Managed Security Solution Providers bring the expertise and solutions to help companies navigate the fast-moving threat landscape. Our customers rely on Masergy's Managed Security solutions to protect them against cyber attacks that could impact their business and IT networks. By delivering a holistic detection and response ecosystem, Masergy is helping IT professionals reduce security alert "noise," focusing only on the most critical and "known threats" to quickly identify and expel cyber attackers before they have time to do damage. In fact, Masergy's patented Unified Enterprise Security platform was specifically designed to identify the anomalous lateral movements that undoubtedly took place inside the NiceHash network. That said, our customers can read these latest Bloomberg headlines and rest assured that Masergy is up-to-speed and doing everything it can to protect customer networks. While bitcoin hacking might be the "perfect mechanism for North Korean money," Masergy's Managed Security solutions are the best investment for IT executives.